Today I have been working on a project that required a workflow in order to keep track of a status. 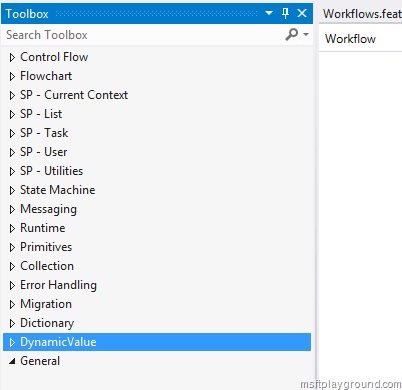 Because we were working with SharePoint 2013 I thought lets build a SharePoint 2013 Workflow. The following line got my attention. All together I think this new approach is very powerful and does also mean you will be able to create APP workflow. Microsoft.SharePoint.SPException: App Management Shared Service Proxy is not installed. You will have to create a App Management Service Application if you want to run SharePoint 2013 workflow and off course also start the “App Management Service“. Besides that the “Microsoft SharePoint Foundation Subscription Settings Service” should be started and you also have to make the Service Application by using PowerShell. $serviceApp = New-SPSubscriptionSettingsServiceApplication -ApplicationPool $appPool -name "Subscription Settings Service Application" -DatabaseName "SP2013_DEV_SubscriptionSettingsDB"
One other thing I noticed is that the workflow feature will have to be a Web scoped features. You should keep this in mind when designing your solutions. 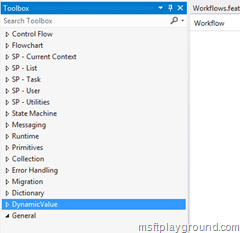 This is real technical blog which talks about SharePoint 2013 work flow. Outstanding information is passed to the entire user in this blog.